Everything's coming up roses at the Bohart Museum of Entomology on the UC Davis campus. See, the Bohart not only houses some seven million insect specimens in its quarters in 1124 Academic Surge, but they have a few live ones, too. Such as Madagascar hissing cockroaches, praying mantids and rose-haired tarantulas. The Bohart, directed by Lynn Kimsey, professor and vice chair of the UC Davis Department of Entomology is one of our favorite places. You never know what you'll find. 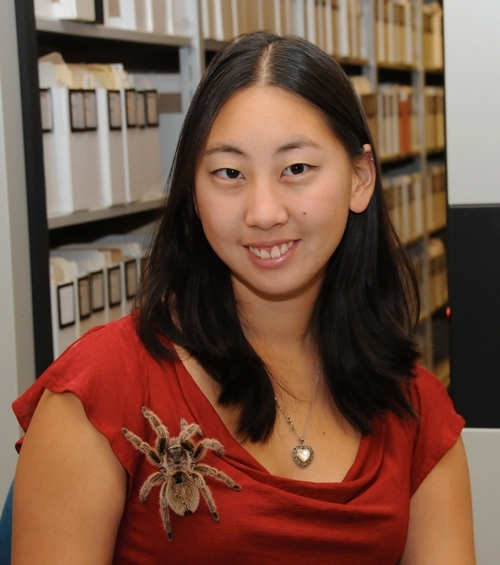 We stopped by the museum last week and one of the Bohart student employees, Nanase Nakanishi, a UC Davis senior majoring in animal science, was caring for the occupants. 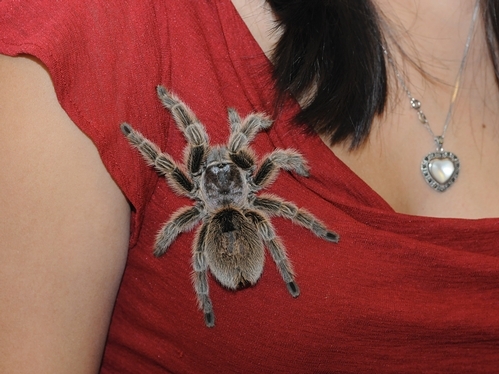 She and her colleagues were feeding the Madagascar hissing cockroaches, aka "hissers." 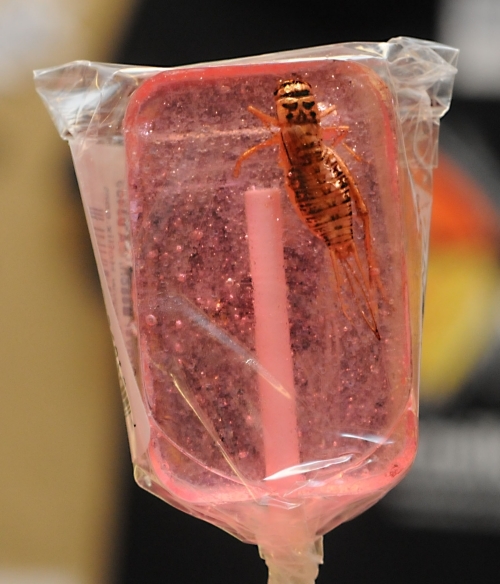 While they were eating, Nanase picked up the rose hair, a favorite among budding entomologists and pet enthusiasts. On her red blouse, it looked like very much like a beautiful brooch. It's a soft, docile, gentle critter. Nanase, who has worked at the Bohart for three years, feels very much at home there. And, no wonder. 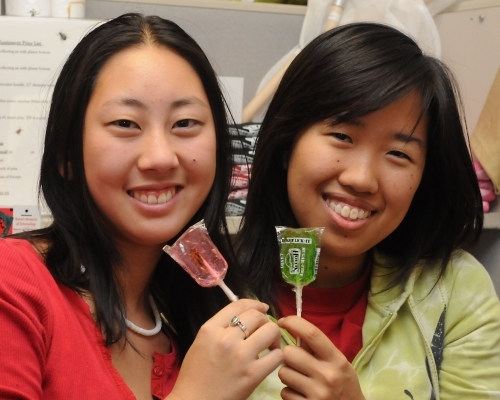 Following graduation, she wants to study veterinary medicine and become a veterinarian. Officials at the UC Davis Department of Entomology and the Bohart Museum of Entomology are saving the bees--one T-shirt at a time. 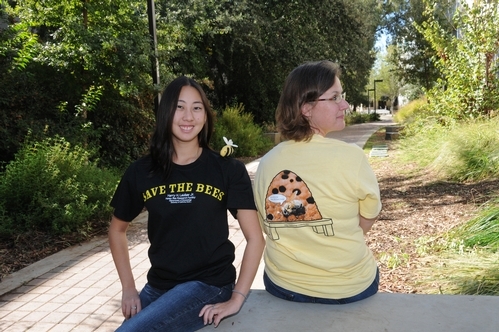 Fran Keller, a doctoral candidate in entomology, and Nanase Nakanishi, a senior animal science major, teamed to create a "Save the Bees" T-shirt, spotlighting the Harry H. Laidlaw Jr. Honey Bee Research Facility and the adjacent Häagen-Dazs Honey Bee Haven. The newly planted haven is a half-acre bee friendly garden designed to provide a year-around food source for honey bees and an educational experience for human visitors. By spring, it will be well-established and in full bloom. And the T-shirt? Nakanishi served as the artist, and Keller, the designer. 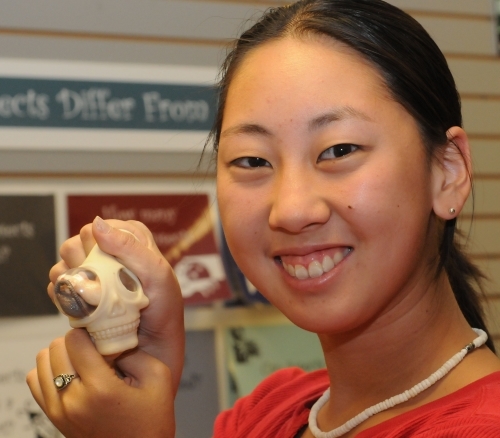 Nakanishi, a Bohart student employee for the past three years, plans to become a veterinarian. Keller's Ph.D. work involves tenebrionids or darkling beetles. 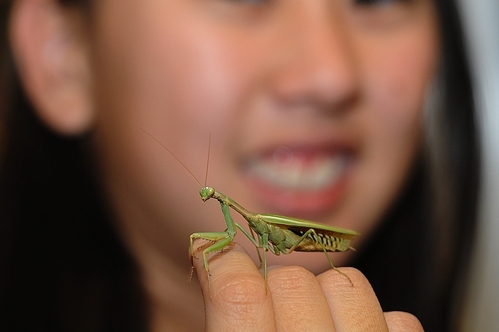 She studies with major professor Lynn Kimsey, director of the Bohart and professor and vice chair of the Department of Entomology. In her "spare" time, Keller has created a number of insect posters and T-shirts, all available at the museum. 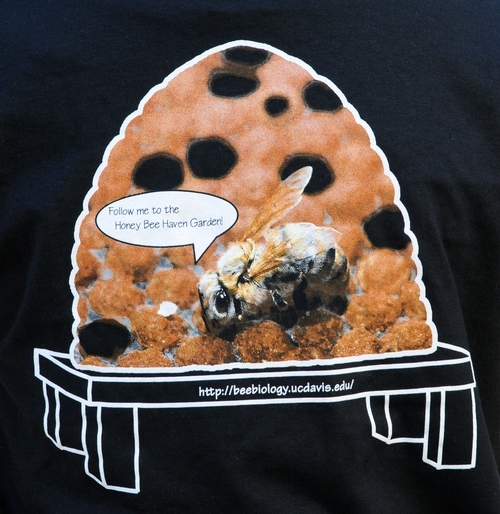 The bee shirt, which comes in black or yellow, is receiving scores of accolades. "Cute!" is one of them. The front says "Save the Bees" and is inscribed with the Laidlaw facility name. The back features a photo (taken by yours truly) of a newly emerged bee tucked inside the line drawing of a hive. It is lettered with "Follow me to the Honey Bee Haven Garden!" Keller said the shirts will sell for $20 for adults and $15 for youths, and range in size from 2XL to small for adults, and XS to large for youths. All proceeds are earmarked for honey bee research at UC Davis. The shirts are available at the Bohart Museum, 1124 Academic Surge, UC Davis campus, or by accessing the Bohart Web site.